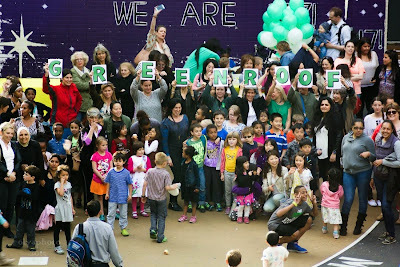 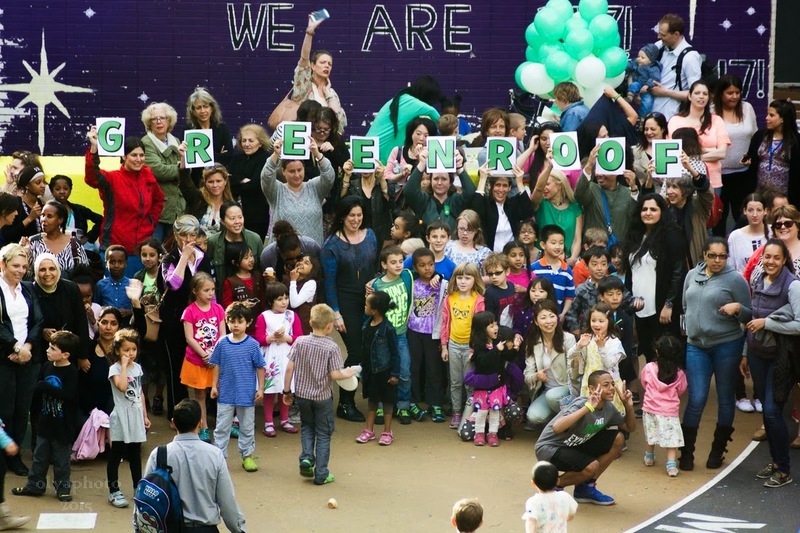 As reported April 30, the Roosevelt Island PS/IS 217 Green Roof project was the top vote getter in NYC Council District 5 Participatory Budget election and will receive $5 Hundred thousand towards the total $1.5 million project cost. 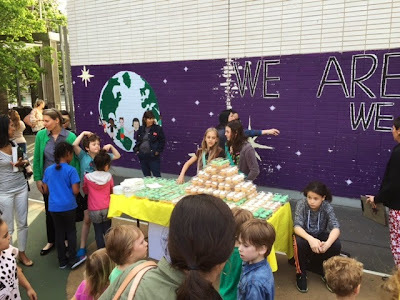 and then came the Cake Celebration. 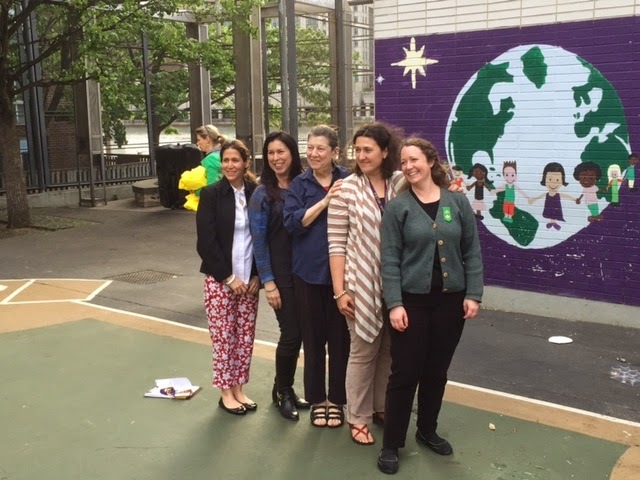 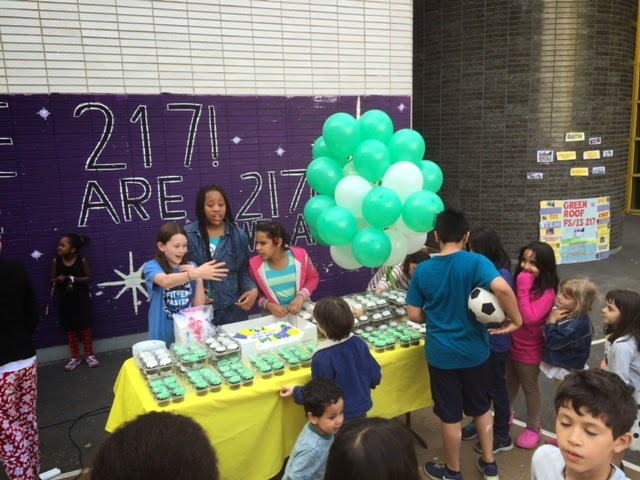 Among those thanked by Principal Beckman (pictured below at left) were Roosevelt Island residents (from left to right) Christina Delfico of iDig2Learn, Sharon Berman, Olga Shchuchinov of the PTA and Aiesha Eleusizov of the Girl Scouts. 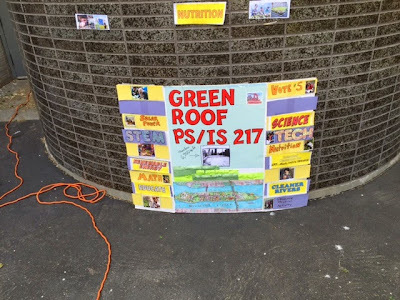 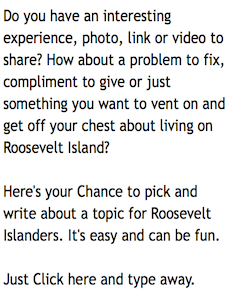 Here's what the Roosevelt Island Girl Scouts think about the Green Roof. 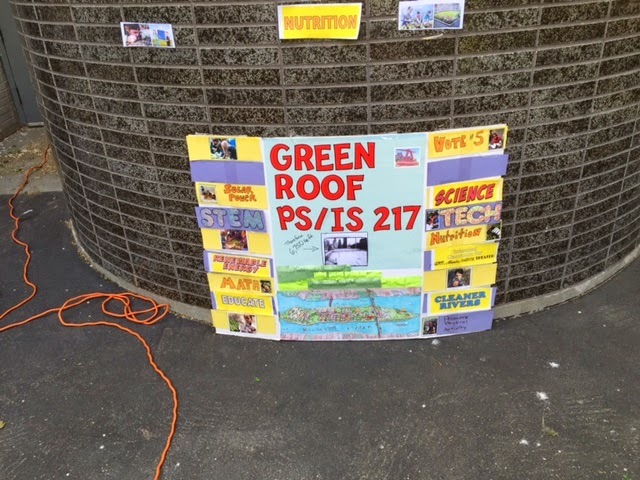 More pictures of the celebration at PS/IS 217 PTA web site.